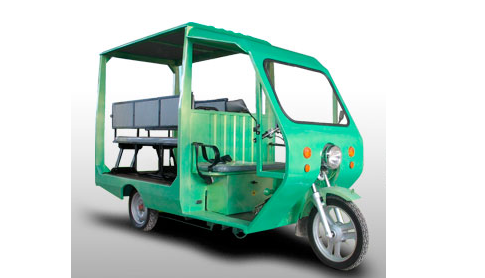 The Asian Development Bank (ADB) has tested an electric tricycle (e-trike) developed by Philippine Utility Vehicle (PhUV) and Taiwanese partner Teco Electric & Machinery. According to the INQUIRER.net, the vehicle was tested with five passengers and a driver on -board and met the bid specifications of the country’s department of energy. The vehicle has a 3kW, 48-volt motor and provides a top speed of 60km/h. Talking to INQUIRER.net, PhUV and Teco Electric say the Philippines-produced electric vehicle (EV) has been tested on steep hills and complies with international standards. We have reached out to PhUV for further details of the vehicle and will update this post if we hear more.